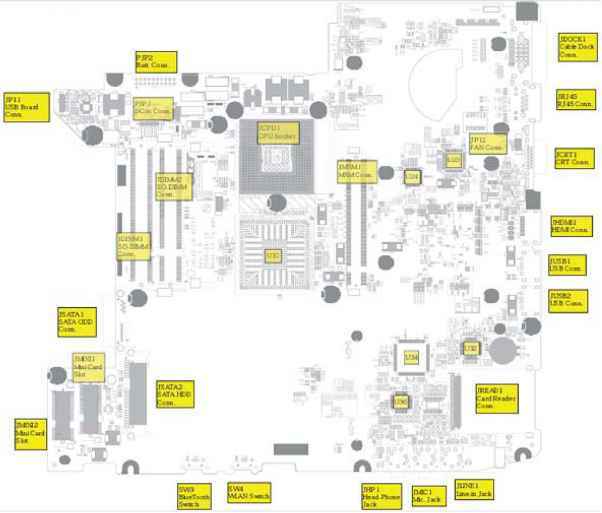 See "Removing the LCD Module" on page 70. Remove the two upper and two lower bezel screw caps. 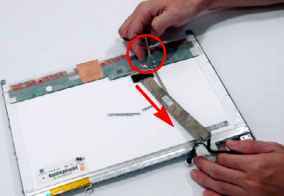 Remove the four securing screws from the LCD module. Lift up the bezel, topside first, and remove it from the LCD Module. See "Removing the LCD Bezel" on page 95. Remove the securing tapes from the left and right sides of the Inverter board as shown. 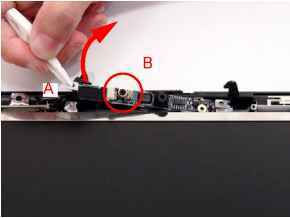 Remove the two securing screws from the Inverter board and lift the board clear of the LCD Module. Remove the Inverter Board from the LCD Module. Disconnect the Camera Module cable as shown. 3. Remove the two securing screws from the Camera Module bracket. 4. Lift the Camera Bracket with the Camera Module (A) and remove the single securing screw (B). Place your finger on the top of the module and pry it away from the bracket. Completely separate the camera board from the bracket. Lift the LCD Panel clear of the LCD Module, taking care to ensure the cables are free from the back cover. 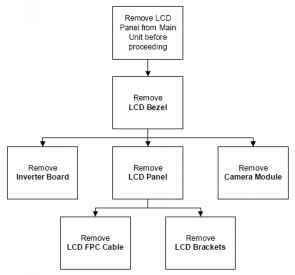 See "Removing the LCD Panel" on page 99. Turn the LCD panel over to expose the rear. Peel off the mylar strip and remove the FPC cable. Grip the FPC cable and lift upward to detach the adhesive pads. 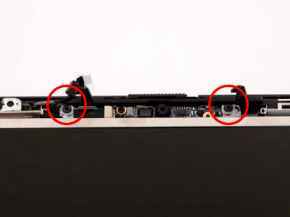 Remove the eight securing screws (four on each side) from the LCD Panel brackets. 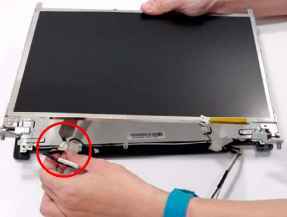 Remove the LCD brackets by pulling them away from the LCD Panel. Remove the strips holding the antenna cables in place. Ensure the cables are free from obstructions. 3. Remove the tabs securing the left and right antennas to the LCD module. 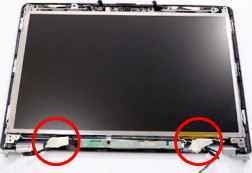 Remove the antenna cables and assembly from the LCD module. Remove the strips holding the MIC Module cable in place. Ensure the cable is free from obstructions. 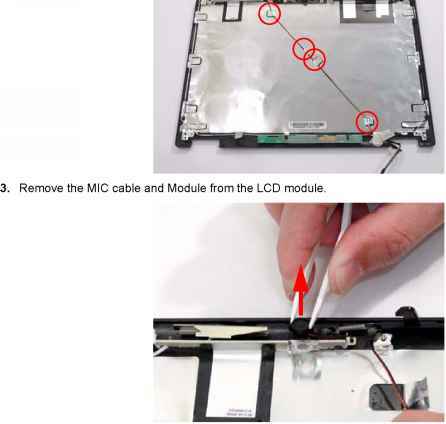 HOW TO REMOVE THE LCD SCREEN ON A ACER 4330? 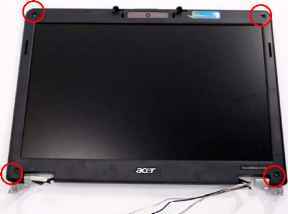 How much acer travelmate 4330 lcd?